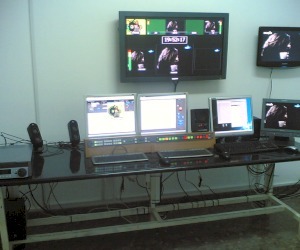 Design and implementation of the new, very compact, Cypriot TV station MAGIC TV. MAGIC TV is using automated continuity implemented by VSN and EVERTZ solutions. The station’s automation and playout server, vsnMatic, is controlling EVERTZ’s QMC-MCS switcher, sending the right source on air while contolling the character generator (vsnCG) which holds MAGIC TV’s 3D graphics. A/V material enter the system either as files (XDCAM import through vsnScenes) or by VSN’s ingest server. 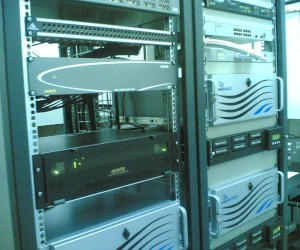 The system is integrated using EVERTZ (SPG, Router, Multiviewer) and CRYSTAL VISION (interfaces) equipment.